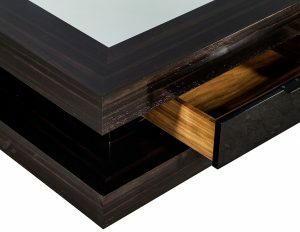 This Modern cocktail table is made to order. 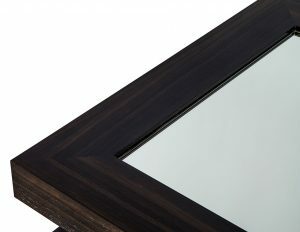 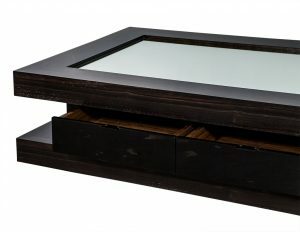 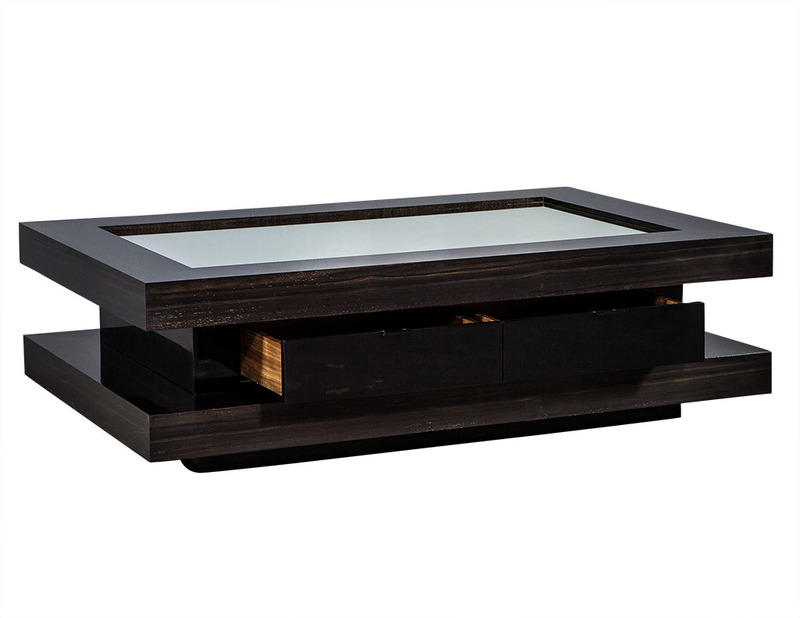 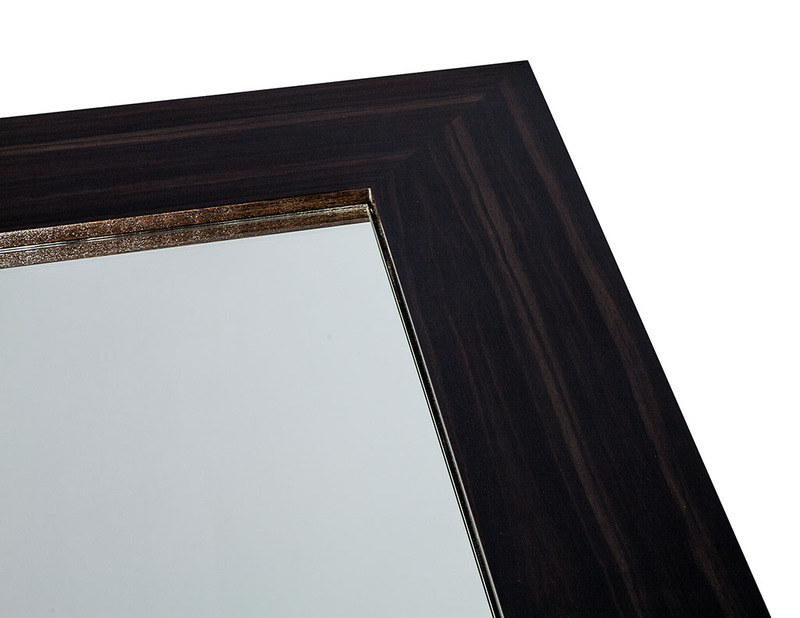 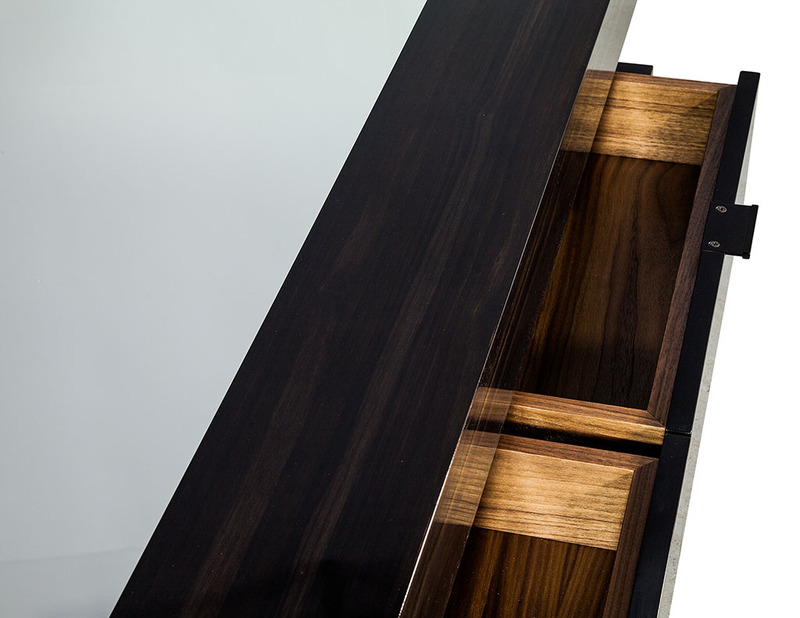 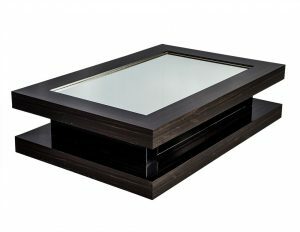 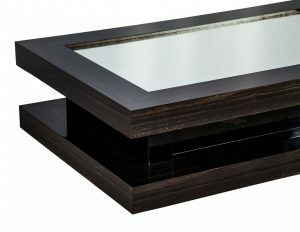 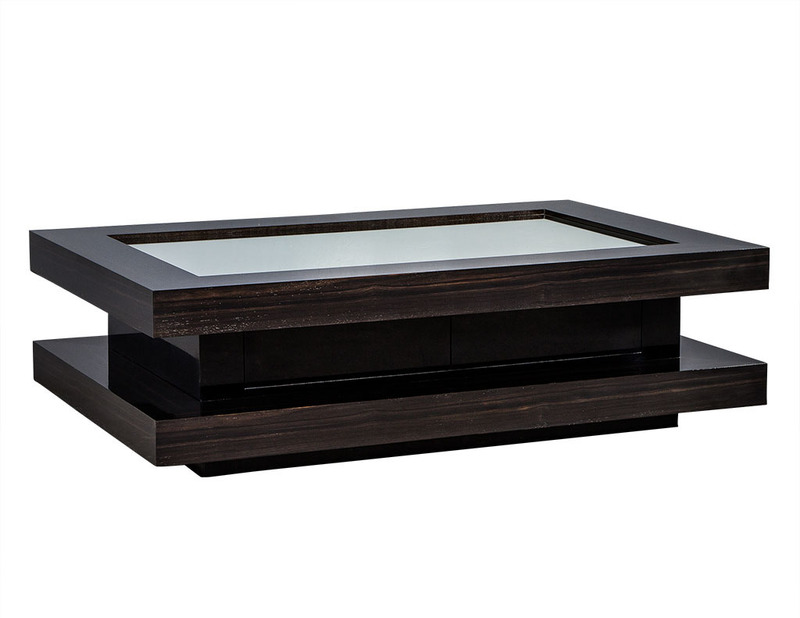 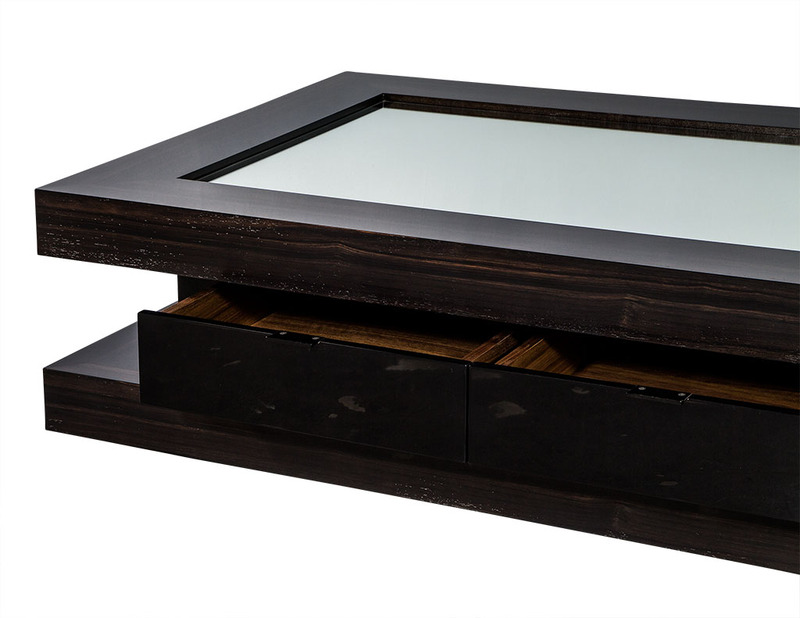 Hand polished to a fine luster, this Macassar table boasts two pull-out soft-close drawers and a mirrored top. 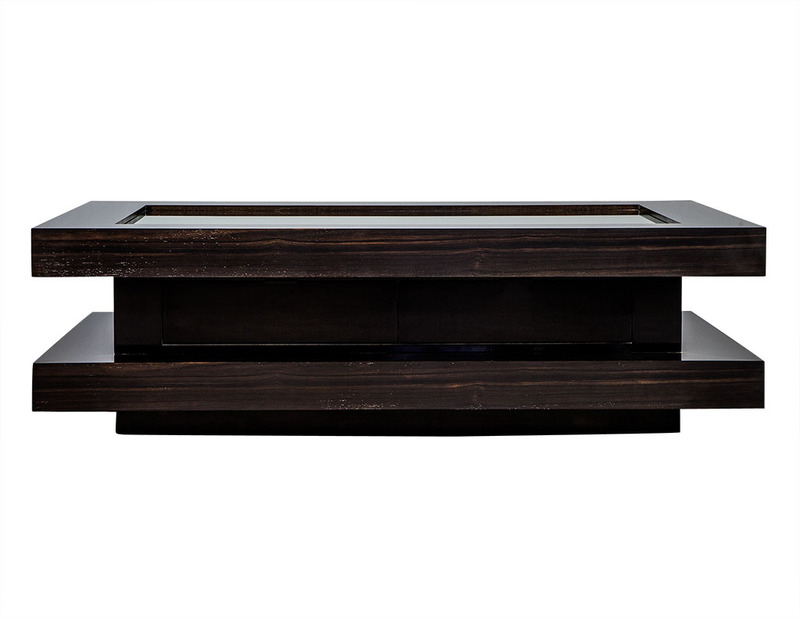 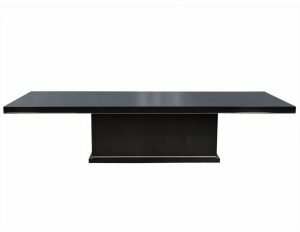 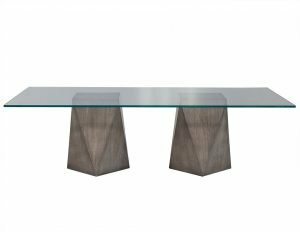 A true feature piece, this table is perfect for a fine home.